The Rialto is a central area of of Venice, Italy, in the sestiere of San Polo. It is and has been for many centuries the financial and commercial heart of the city. 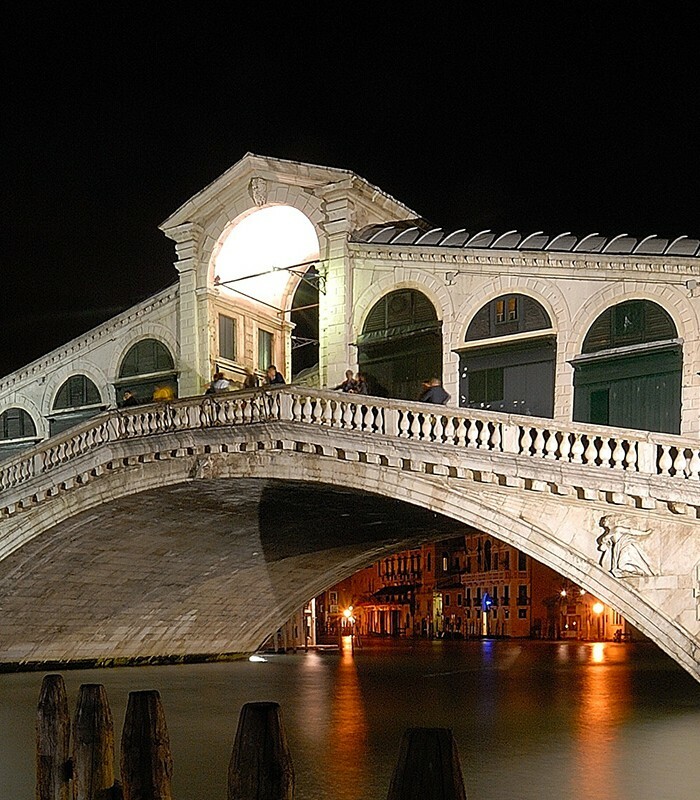 Rialto is known for its prominent markets as well as for the monumental Rialto Bridge across the Grand Canal. 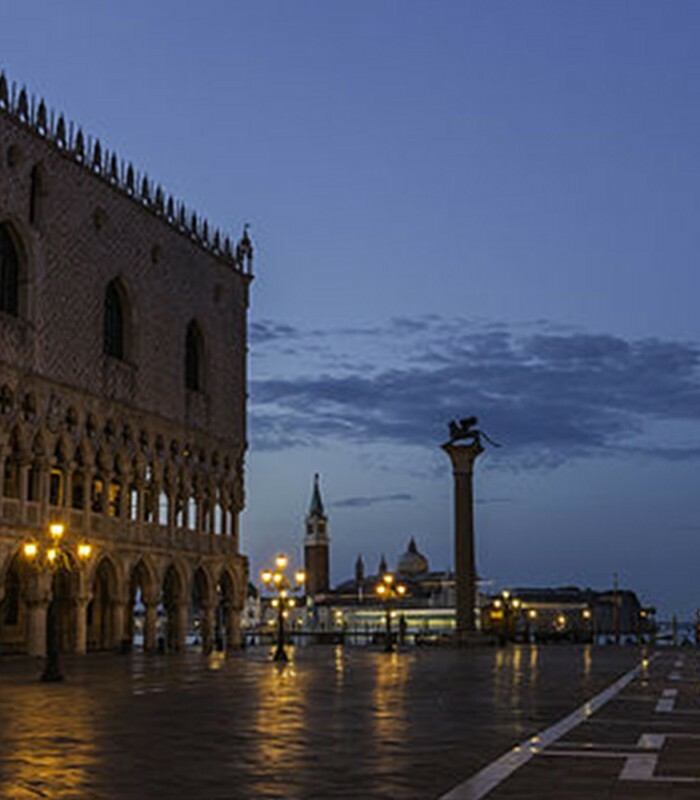 The Rialto became an important district in 1097, when Venice’s market moved there, and in the following century a boat bridge was set up across the Grand Canal providing access to it. This was soon replaced by the Rialto Bridge. The bridge has since then become iconic, appearing for example in the seal of Rialto, California (“The Bridge City”). The market grew, both as a retail and as a wholesale market. Warehouses were built, including the famous Fondaco dei Tedeschi on the other side of the bridge. Meanwhile, shops selling luxury goods, banks and insurance agencies appeared and the city’s tax offices were located in the area. The city’s abattoir was also in the Rialto. Most of the buildings in the Rialto were destroyed in a fire in 1514, the sole survivor being the church San Giacomo di Rialto, while the rest of the area was gradually rebuilt. The Fabriche Vechie dates from this period, while the Fabbriche Nuove is only slightly more recent, dating from 1553. The statue Il Gobbo di Rialto was also sculpted in the sixteenth century. The area is still a busy retail quarter, with the daily Erberia greengrocer market, and the fish market on the Campo della Pescheria. I’ve really had a positive experience in Venice. Apostoli Palace is a few steps from everything; the hotel was very friendly and the breakfast has an high quality and has been served with great courtesy. The rooms are well furnished and equipped with all comfort. You can have a tea or coffee at any time you wish. The location is really good and the price is great, that’s amazing being in Venice.